I thought I would go for something different again with the Bridge theme. Although there are a few bridges near where I live, they are usually just dull ones with roads on them so you don’t get the full splendour of them. As I was gazing out to sea, I watched a ship coming in and thought about how clear the bridge was. Unfortunately by the time I grabbed my camera, the people who were there had gone. I did also consider setting cards out into hands in a game of bridge, but that would have meant ages of reading up on rules, and I don’t have a lot of time today. 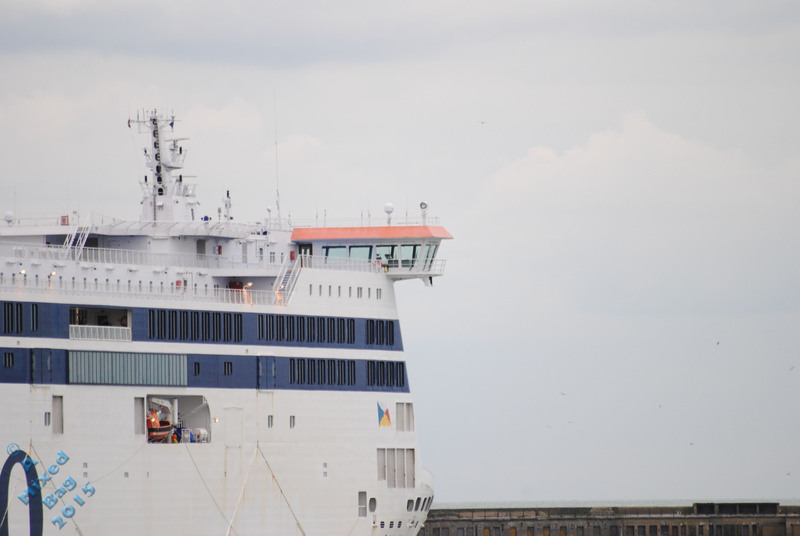 This entry was posted in Photography and tagged Boats, Bridge, Cards, Dover, Ferry, Nikon, Nikon D3000, P&O Ferries, Peter Sykes Photo Challenge, Photos, September, Ship. Bookmark the permalink. I fail to grasp why these bloody things don’t just turn turtle.